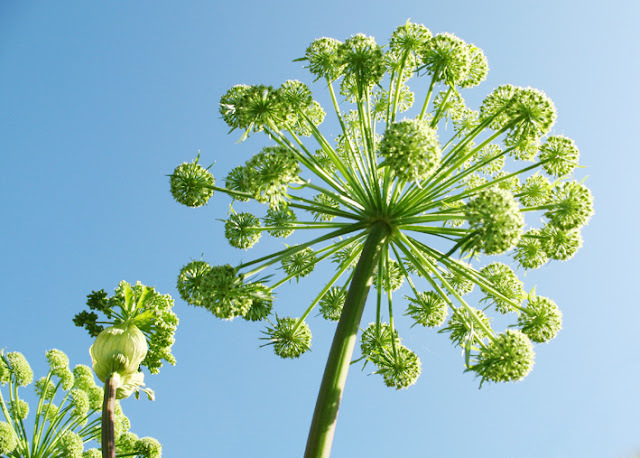 The Angelica is in it's 3rd year and despite a late start it put on an astonishing amount of growth in the last 4 weeks, it's huge! Last year it was a bit taller than me but this year it's taller than the shed, probably about 10ft tall, and may grow more. What a wonderful giant of a thing. 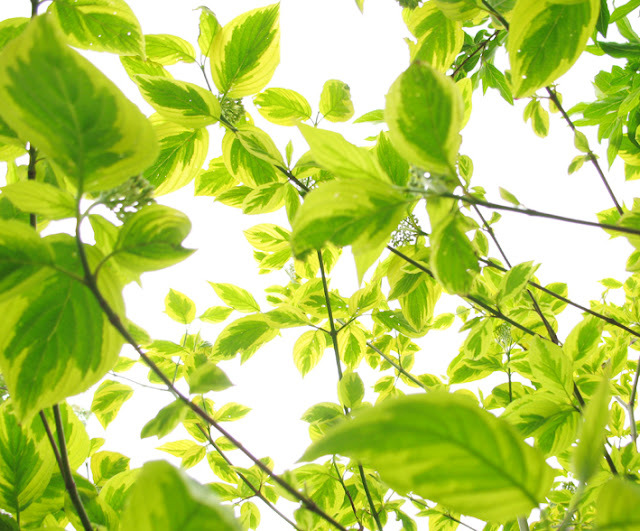 The Dogwood is Cornus 'Hedgerow's Gold' which always lights up it's mostly shady corner. 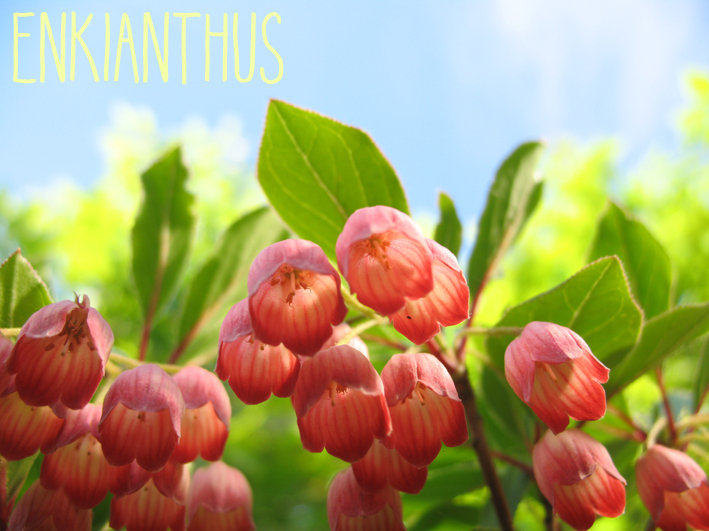 The Enkianthus - oh what a delight to see. Last year the constant vicious gales and 2nd late freeze meant it only had about 4 flowers, poor thing. This year it is SMOTHERED in them and they are strongly resisting the gales today, which fortunately are of a much warmer nature than the ones that ripped the leaves off the trees last year. 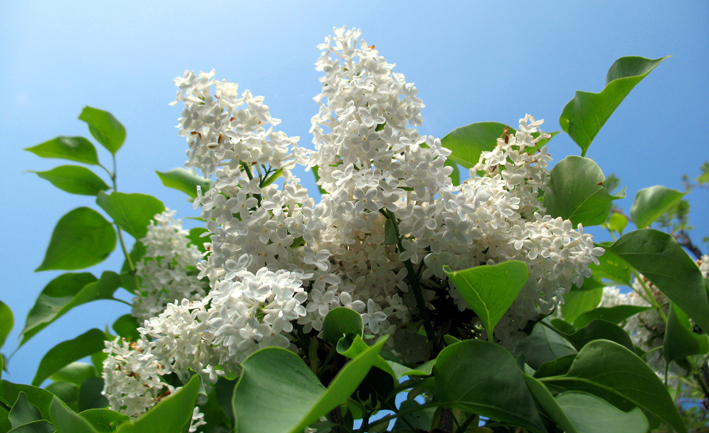 The White Lilac has flowered really well, it's been getting pruned back over the last 3 years and this is it's first year without any of the old unproductive branches. It seems very happy about it and the flower clusters have held on for at least a full month. The Rowans haven't recovered fully and like so many trees around Scotland they are looking a bit see-through, but I'm pleased to see they are managing a few smaller scale flower clusters so we will get berries this year (so long as no freak weather comes along before September). More plant photo's to follow just as soon as I get them cropped.